One trend worth pursuing (or at least investigating) is charitable gifts. For the past several years, this trend has grown so rapidly that individuals and businesses alike have replaced their usual holiday gift giving items with charitable gifts. Charitable gifts, paying it forward, or whatever you would like to call it, involve providing a monetary donation to a cause that meets your values and goals or purchasing an item(s) that those in need can greatly use. There are tons of websites and organizations that make it very easy for businesses and individuals to take part in charitable gift giving and even provide an option for people to create their own charitable gift wish list (in case you prefer to forgo all material gifts and would like all of your gift-givers to give to charities that mean most to you)! For example, OXFAM America is an organization that allows individuals and businesses to give charitable gifts that will provide relief for communities in countries that face poverty, hunger and injustice on a daily basis. You can purchase unique gifts like books for children, a school meal program for one child, two sheep, a fair day’s pay for workers, a farmer’s flock and more. Although a large organization, OXFAM America does a great job of showing companies and individuals how their donation makes a difference. There are other organizations like The Gift of Giving and Just Give that give you the option of supporting a national charity or one that is a little closer to home. Whatever you choose, there are now so many options out there for you to give a charitable gift to something that you believe in. At FMPR, we have incorporated charitable gift giving into our holiday e-cards for the past couple of years. We provide a call-to-action for our colleagues who receive our holiday e-card by asking them to consider giving to one of three charities we have hand-picked. This year, we chose to support a part of the economy that has unfortunately been hit hard: education. We decided to choose institutions within our communities on Kauai and in Pennsylvania as well as a national organization that support education: My Sandy Hook Family Fund, United Friends School and The Culinary Institute of the Pacific. So, why should you pursue charitable gift giving? Well, as we mentioned above, it is a great option to break away from the usual holiday deliverables you provide to family, friends and colleagues. Charitable gifts also help you become more in-tune to the community in which you operate. Searching for what causes to give to educates you on what charities and nonprofits in your area are doing to help the local community be a better place for all. In addition, charitable gifts help increase your social responsibility if you find that your company is lacking in this particular area. It is a great way to show your appreciation and support (or kokua as we say in Hawaii) for the betterment of your community and the world as a whole. Choose an issue or cause that your company feels strongly about supporting. Whether it is education, poverty, hunger or homelessness, you can stick to one cause forever or change it up every year. Figure out if you would like to provide charitable gifts to organizations locally, nationally or even internationally. Maybe the scope of the organization you choose changes as your company grows or as incidents take place in society (i.e. natural disasters, programs affected by budget cuts, etc.). Whatever organization you choose, make sure it is legitimate and established before you give. 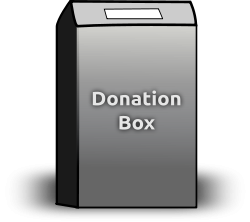 Choose what type of charitable gift you want to give, whether it is a monetary or object donation. No matter how big or small your donation is, remember that it is truly having an impact on improving the lives of others. Charitable gifts do not have to be seasonal. You can choose to give once a quarter, every anniversary of your company’s existence, or whatever you decide. Let your employees get involved! Whether it is nominating causes to consider for charitable gifts or choosing a team to run your gift giving program, let your employees be a part of the process because they will enjoy it.